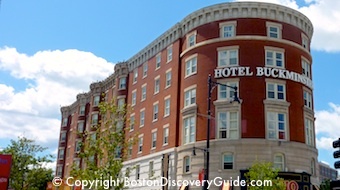 These Boston discount hotels represent the city's best values - hidden bargains right in the middle of several of Boston's top central neighborhoods, near the most popular tourist attractions, restaurants, and amenities. 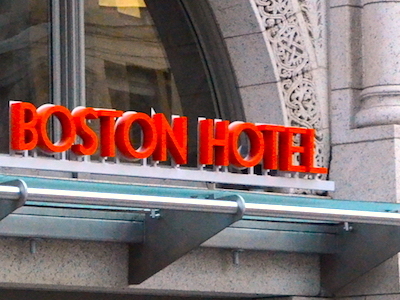 You're probably wondering: Why are these Boston discount hotels so cheap? What's wrong with them? 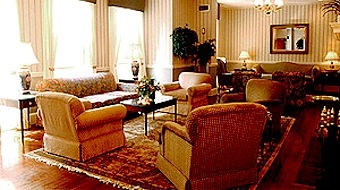 Several are simply less plush than nearby luxury hotels. A couple of others have smaller rooms. Another is part of a conference center, and gives priority to corporate bookings. Still another, located almost next to Fenway Park, offers its lowest rates during off-season for the Red Sox (although even on game nights, you'll still find comparatively good rates here). 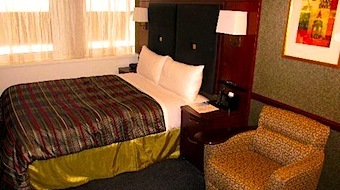 But if you can survive for a few days without designer linens, don't need a huge room, and are willing to stay elsewhere during the Boston Marathon or pay higher rates when the Sox play at Fenway, these Boston discount hotels will give you some of the best bargains in town. What you get: Club Quarters offers low weekday rates, especially when compared with other nearby hotels - and even lower weekend rates. 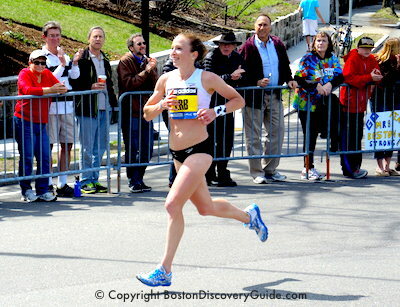 Great location for exploring Faneuil Market, the Freedom Trail, the North End, and the Downtown Waterfront. What's the catch? Small rooms and bathrooms - but that's true for lots of city hotels. "Club" concept - non-members may pay a bit more than members. 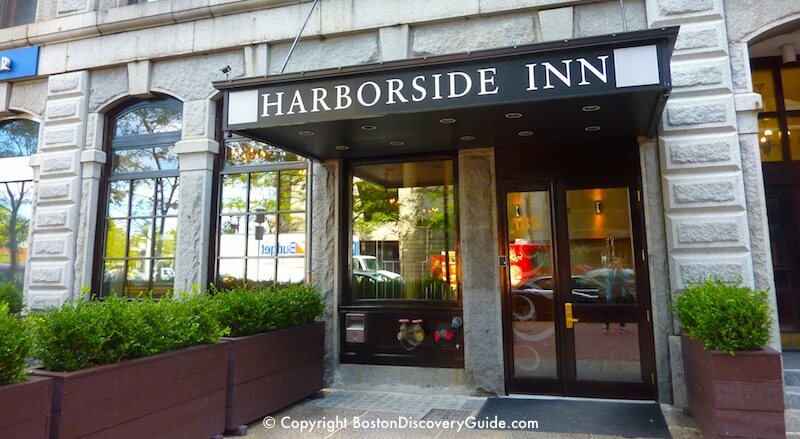 What you get: Harborside Inn's superb location in the Financial District, about a block away from Boston Harbor and very close to Faneuil Marketplace, the New England Aquarium, the Freedom Trail - and lots of other top attractions. What's the catch? Notice "Inn" in the name? There's no on-site restaurant, no swimming pool, not even vending machines. 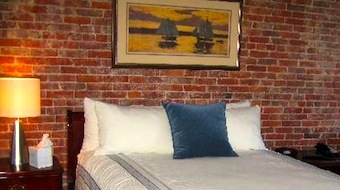 Some rooms are charming (especially those with exposed brick); others are kind of plain. That's why the rates are lower here, despite the prime location. If you want a comfortable place to sleep in a top location at more attractive rates than you'll find at nearby hotels, make your reservation now! If you want the amenities of a larger hotel, you may not be happy here. 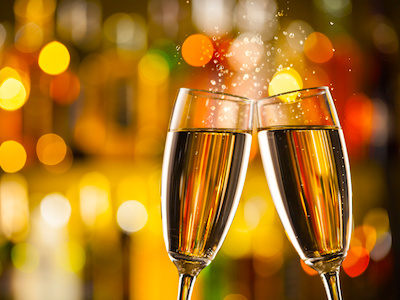 Solution: Plan to enjoy the many restaurants, bars, and cafes nearby. 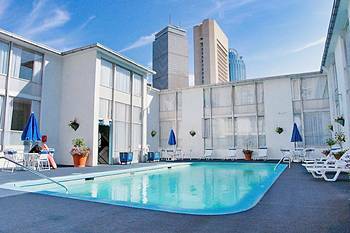 What you get: Midtown Boston gives you a pet-friendly welcome, a seasonal pool tucked behind the hotel, short walk to Northeastern University, Museum of Fine Arts, Symphony Hall, Jordan Hall, Shops at Prudential Center, and just 5 minutes from the South End. What's the catch? 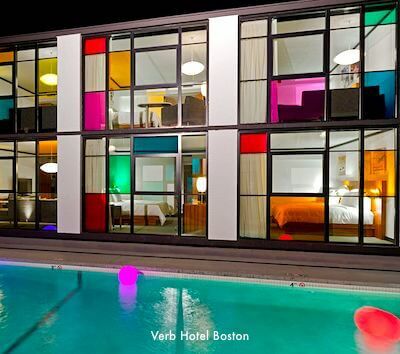 Low-rise mid-century motel design can't compete with nearby luxury hotels. Solution: Find glamour elsewhere - walk over to Newbury Street and shop in the designer boutiques with the money you'll save at the Midtown. What you get: John Jeffries House's prime Charles Street location at the edge of Beacon Hill, across the street from MGH (Massachusetts General Hospital), and a short walk to TD Garden. This small boutique inn offers suites as well as rooms - almost all have kitchens. You'll find a gourmet market next door, plus a couple of others nearby on Cambridge Street. The neighborhood also has lots of wonderful restaurants. What's the catch? Everyone else competing for reservations here. John Jeffries House's popularity makes getting a reservation quite a challenge. Solution: Book early and have a second choice in mind. What you get: For Red Sox fans and Boston University visitors, the Buckminster's location can't be beat. Located on Commonwealth Avenue, the hotel is just a block from famed Fenway Park and only 2 blocks from Kenmore Square and the Green Line. What's the catch? The 94 rooms are comfortable but not luxurious. Decor is homey, not trendy. Rates do go up and reservations can be very tough to get when the Red Sox play at Fenway. Solution: Book as early as possible. What you get: Boston Common Hotel usually offers excellent rates - a steal, considering its prime Back Bay location, just one block from Copley Square and next to I. M. Pei's iconic Hancock Tower. 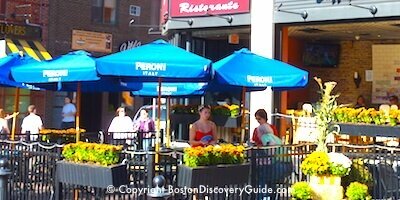 Newbury Street designer boutiques are nearby, and this neighborhood overflows with wonderful restaurants. What's the catch? 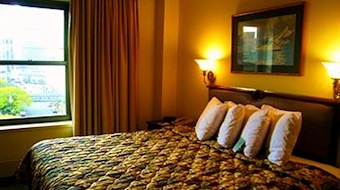 Comfortable rooms but far from luxurious, and small bathrooms. Although the decor has recently been freshened, it still does not compare with what you'll find in much more expensive nearby hotels. Which, of course, is why the rates are so much cheaper. When owner John Hancock Insurance holds conferences here, the hotel may be fully booked by employees. Solution: Have a second choice in mind.